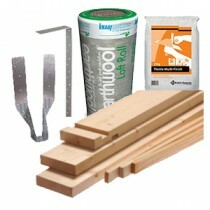 We stock a large range of lightside building materials for inside and outside of the build. Including insulation PIR boards, loft rolls, cavity batts, finish timber, sawn and CLS lengths, sheet materials, screws and fixings, mastics and silicones and doors to name a few. From leading brands such as Eggar, Knauf, British Gypsum, Thistle, Gyproc, Unifix, Soudal, Premdor, Celotex, Kingspan, Rectical and plenty more.